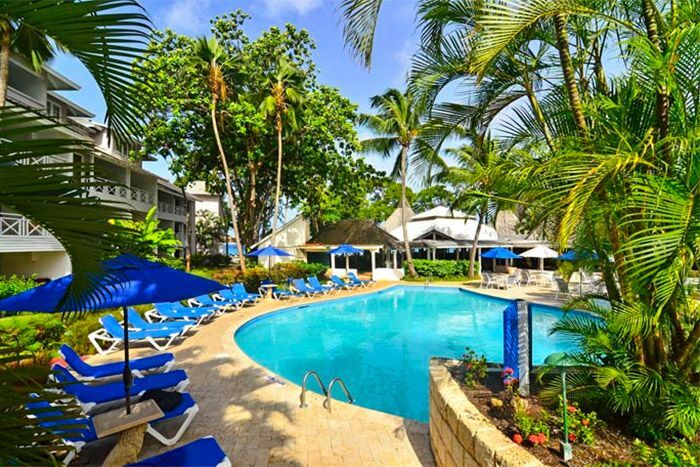 The adults-only resort, ideally located oceanfront on Barbados' west coast, is the perfect vacation getaway. Welcoming guest rooms and suites feature brightly colored décor with dark wood accents and a wealth of amenities for your comfort and convenience. Enjoy sumptuous cuisine and innovative cocktails at the hotel's two restaurants and four bars. Three freshwater pools, a luxurious spa and salon, and a wealth of activity and entertainment options round out your vacation experience. Excellent dining, shopping, beaches, tours and excursions are just minutes away. Bonus: Garden View. Adults Only (16+). All-Inclusive includes all meals, drinks, activities and more. Exclusive $100 Off per booking.